A best possible homeland journey to China for adoptive family means much more than simply visiting the orphanage and the home city. 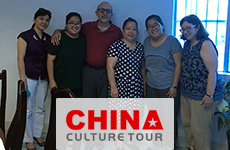 China Culture Tour strives to design exclusively for the adoptees the China homeland and heritage tours of a life-time. For years, we have successfully offered special homeland experiences for a number of international adoption families. They did not only visit their hometowns personally such as Nanchang in Jiangxi, Maoming in Guangdong, Qingdao, Nanning in Guangxi, Shihezi in Xinjiang, etc. but also they discover the rich culture and heritage and have much greater connection with China. 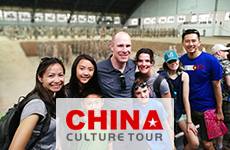 China Culture Tour offers bespoke heritage tours to meet every single family’s travel wishes. With the utmost in flexibility, you can decide when to travel, no matter it is during the summer holiday or over the Christmas, and where to travel, from the orphanage city and the best places to visit in China to the off-the-beaten-path destinations. Besides, the local guides, the actual residents of each destination, know exactly where you’re heading and are flexible to accommodate to your personal requests. So your family’s dream of returning to China is to be fulfilled in a perfect way. 1. A heritage trip allows the adoptive family to focus on the orphanage visits - meet up with the orphanage director, staff and children, learn inside story of adoption, wander around the neighborhood and the city and wherever possible they are interested in. 2. Explore several of China’s best cultural and scenic destinations such as Beijing, Xian, Chengdu, Guilin and Shanghai. Admire China’s unique heritages (e.g. the Great Wall and Forbidden City) and have great insight into China’s history, culture and customs. 3. Experience the real life in China, in both the megacities and small villages – the adopted children will then obtain their own understanding of China. 4. Participate in cultural immersion lessons and activities, to learn traditional Chinese culture and art, and improve their Chinese language skills. To plan a heritage tour to China, the adoptive family should have the required documents for orphanage visits, and simultaneously be mentally prepared. The required documents – Basically, you need only present the valid passports and the adoption certificate. 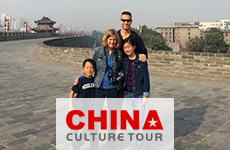 Once you send the request to China Culture Tour, one of our travel consultants, with much experience in assisting adoptive children returning to China, will offer you the step-by-step guide. The name of the orphanage – With the official name of the orphanage, even without the contact information, we can get you to the right place smoothly. But please advise us if you would like to meet someone special, for instance, your child’s previous nanny or a retired director. Discuss the returning trip with your child. Is your family ready? It will be a culture enriching trip, and more importantly, an emotional journey and a root-seeking journey. Make sure your family is ready, especially the child. Help him/her to have a general idea about the adoption, about China and about the places you’re going to visit. Consider preparing some small gifts for the orphanage kids. You can still expert tens of and even hundreds of infants and children in the orphanage. They will be very grateful and comforted if you could bring some small gifts, such as books, pens and other school supplies. It is voluntary, and definitely not mandatory. Here below are the most popular destinations in China that you’re highly recommended to add on your planned itinerary, apart from the home city and orphanage. You will have a series of amazing experiences on your tour in China, and your child will be so proud of Chinese heritages. - Board a vintage rickshaw through hutong, visit the traditional courtyard home, and join in the cultural activities like Chinese paper-cutting, Beijing Opera mask drawing, etc. - Explore cultural and historical sites: Wenshu Monastery, Wuhou Temple, etc. 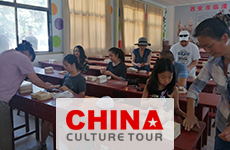 - There’re various Chinese culture & art classes to take: calligraphy & panting class, Chinese character learning, Tai Chi Kung Fu class, Chinese cooking lesson, etc.